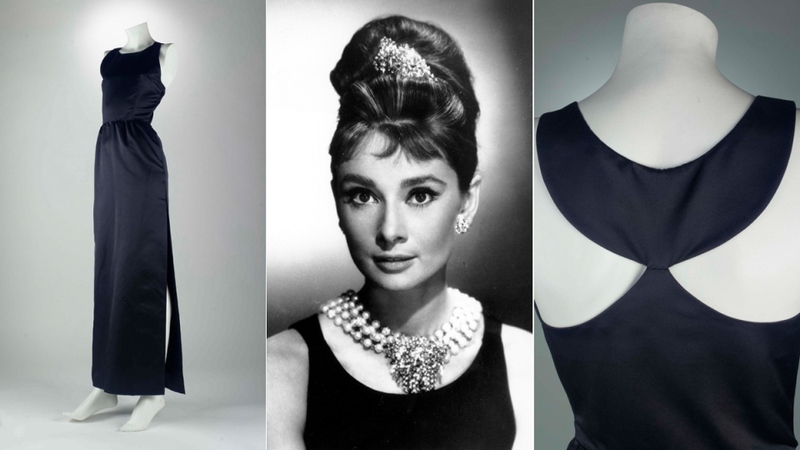 PARIS -- French couturier Hubert de Givenchy, a pioneer of ready-to-wear who designed Audrey Hepburn's little black dress in "Breakfast at Tiffany's," has died at 91. 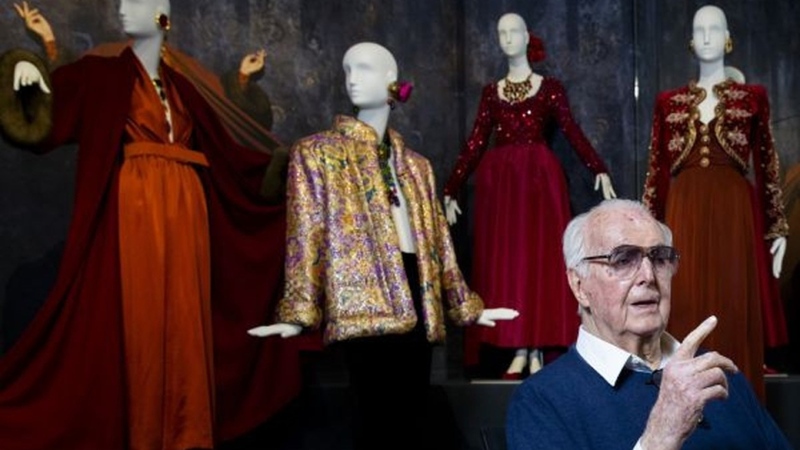 Along with Christian Dior, Yves Saint Laurent and mentor Cristobal Balenciaga, Givenchy was part of the elite cadre of Paris-based designers who redefined fashion after World War II. Givenchy, speaking last year at an exhibition of his creations at the City of Lace and Fashion in Calais, said "too much artifice" detracts from clothing. "A piece of material has a life. You must never upset it, if you want the material to speak," he said. A towering man of elegance and impeccable manners, he forged close friendships with his famous clients, from Hollywood screen sirens of the likes of Elizabeth Taylor and Lauren Bacall to women of state, including Jackie Kennedy and Princess Grace of Monaco. Born into an aristocratic family in the provincial city of Beauvais on Feb. 21, 1927, Givenchy struck out for Paris in his late teens. His debut collection ushered in the concept of separates -- tops and bottoms that could be mixed and matched, as opposed to head-to-toe looks that were the norm among Paris couture purveyors. 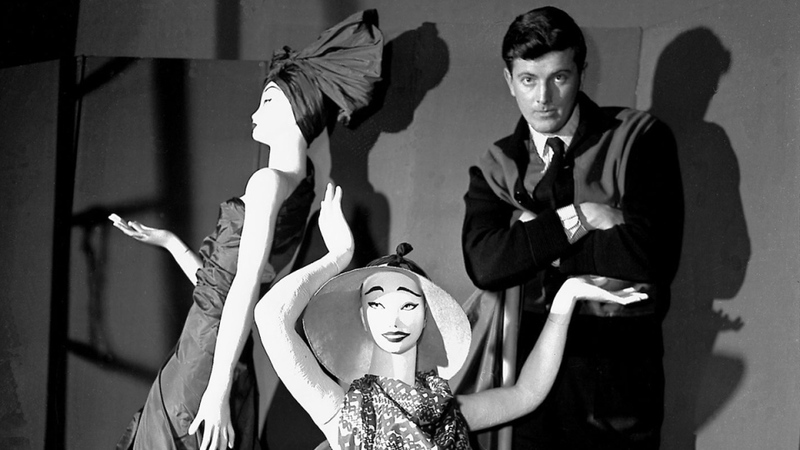 "Le Grand Hubert," as he was often called for his 6-foot, 5-inch (1.96 metres) frame, became popular with privileged haute couture customers, and his label soon seduced the likes of Gloria Guinness, Wallis Simpson and Empress Farah Pahlavi of Iran. But the client whose name would become almost synonymous with the house was Audrey Hepburn, whom he met in 1953, when he dressed her for the romantic comedy "Sabrina." Legend has it that Givenchy -- told only that Mademoiselle Hepburn would be coming in for a fitting -- was expecting the grand Katharine Hepburn. Instead, the diminutive Audrey showed up, dressed in cigarette pants, a T-shirt and sandals. The French president's office praised Givenchy as a designer whose name became an emblem for French elegance, with one principle: "to respect and celebrate the woman's body." His classical approach eventually "led him to no longer see himself in more unstructured styles" taking over the fashion world, the Elysee Palace statement said. "France loses a master, the Master of elegance, of creation, of invention," the statement said, sharing the condolences of President Emmanuel Macron and his wife, Brigitte, to Givenchy's companion and friends. Waight Keller, at the helm of the brand since last year, said in an Instagram post Monday she is "deeply saddened by the loss of a great man and artist I have had the honour to meet." "Not only was he one of the most influential fashion figures of our time, whose legacy still influences modern day dressing, but he also was one of the chicest most charming men I have ever met," she wrote. Bernard Arnault, CEO of LVMH, said he is "deeply saddened" by Givenchy's death. "He was among those designers who placed Paris firmly at the heart of world fashion post 1950 while creating a unique personality for his own fashion label," according to a statement released by LVMH. Givenchy is survived by his companion, French couturier Philippe Venet. 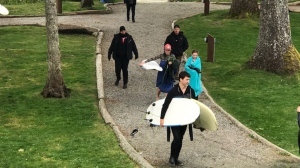 This story has been updated to correct the spellings of two names, Cristobal, not Christobal, Balenciaga and Katharine, not Katherine, Hepburn.